The Trek Collective: Two new Star Trek bust series on the way? I hope you like busts, because it looks like we've got plenty on the way! 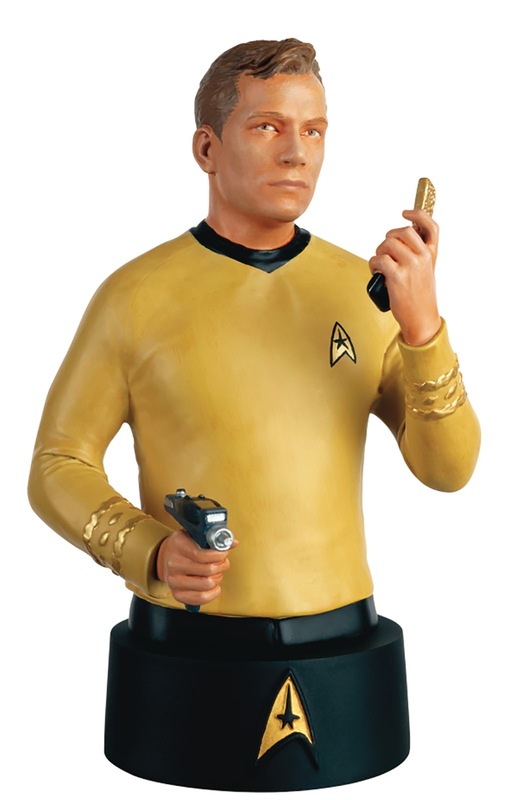 Eaglemoss' latest round of solicitations include a new Captain Kirk bust, the first in The Official Star Trek Busts Collection apparently! The iconic Captains of Star Fleet and other memorable characters from over 50 years of STAR TREK TV and movie history are captured in impressive detail with highly accurate likenesses, uniforms and props. These hand-painted polyresin busts are 4.5 to 6" tall, come complete with a fact-filled magazine, and form an essential addition to any STAR TREK collection. What we don't know yet is how often the series will be released. Presumably there will also be a subscription option (there normally is for Eaglemoss series, but not all), but that hasn't been revealed yet. Also not clear is whether the series will extend to Discovery and the Kelvin timeline movies, or just stick to classic Trek series. Sure we'll find out soon enough though! The magazines could explore some interesting stuff, giving Eaglemoss excuse to dive into not just the characters featured, but the uniforms and props too! Meanwhile another bust was also recently revealed in CBS' booth at the current Licensing Expo in Las Vegas. 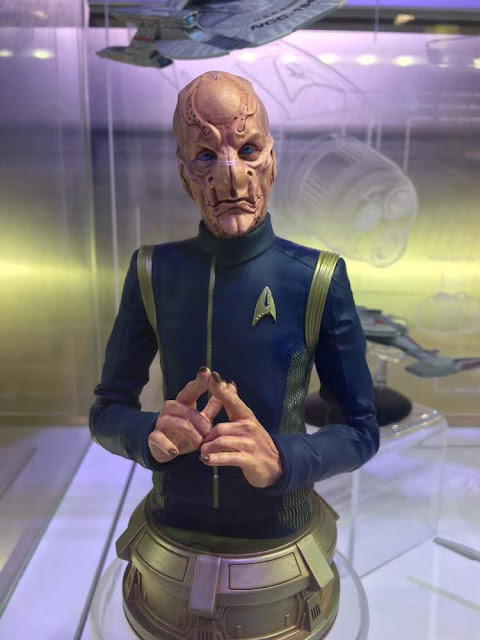 TrekMovie shared the following image of this Saru bust, but it's TrekCore who have a little more detail, having been informed this is probably a product of Gentle Giant. Looks like we're in a sudden resurgence of Star Trek busts, with these latest previews joining Icon Heroes' recent facepalming-Picard bust. It will be interesting to see how long these series manage to run, as the last couple of attempts at ongoing bust ranges, from Titan Merchandise and Diamond Select Toys, didn't manage to get very far! I hope they don't do Janeway. Because it's rude to stare at a woman's bust.